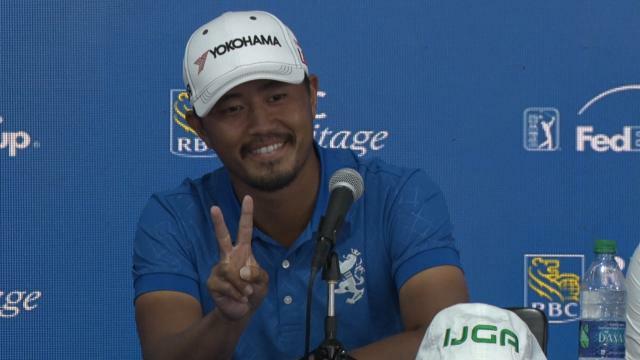 In the second round of the 2019 RBC Heritage, Satoshi Kodaira lands his 157-yard approach from a waste area within 9 feet of the cup at the par-4 3rd hole. 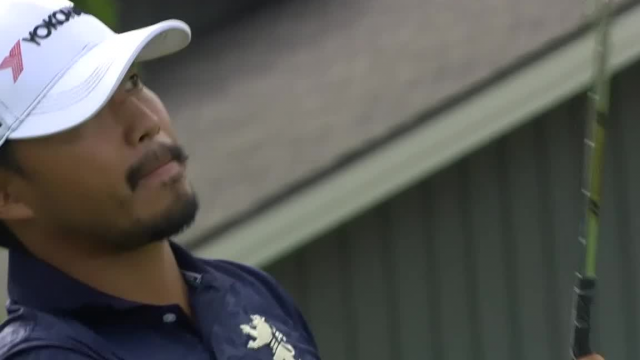 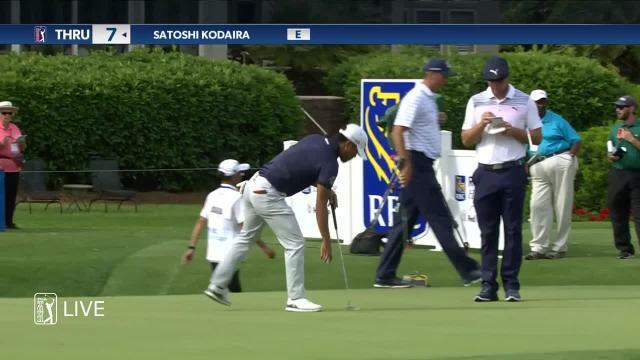 In the second round of the 2019 RBC Heritage, Satoshi Kodaira sinks a 12-foot putt to make birdie at the par-4 16th hole. 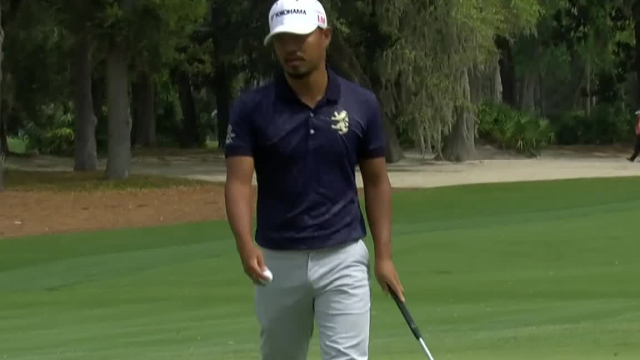 In the second round of the 2019 RBC Heritage, Satoshi Kodaira lands his 171-yard tee shot within 7 feet of the cup at the par-3 17th hole.